If there is something that stands out the Galician geography are its numerous capes entering the sea that together with the steep mountainous terrain form some of the highest cliffs in all of Europe. Today we will talk about some of these strands that, having different characteristics from one another, have something in common: they leave words without anybody who knows them personally. Landscapes of dreams, tranquility, sunsets, the sound of the sea, the smell of salt and, in general, everything that keeps these areas of coast untouched, make it a place with a special magic. In A Costa da Morte we find, for example, Cabo Touriñán, a place from which you can see the bravery of the sea hitting the rocks while one fights against the wind that always blows strong in that point. However, and although time does not always accompany, it is a place of a virtually unique beauty, even when all you can see is its majestic lighthouse rising above the fog with the sound of the sea in its state more savage. In the Rías Altas we find Cabo Ortegal, considered a place of international geological interest and with a road access that ends right there, on the very edge of the sea. They say that here, when the day is very clear, if one looks at the horizon is unable to distinguish the line that separates the sea from the sky. Infinite blue. As curiosity, here are the oldest rocks of the Iberian Peninsula and the fourth of the world, some of them dated 1160 million years ago. Also in the north is Estaca de Bares. It is the northernmost cape of the Iberian Peninsula and, in addition, that marks the separation between the Atlantic Ocean and the Cantabrian Sea. The fact of having a privileged northern situation made this corporal be used at different times as a strategic military point. Proof of this are the ruins that are kept very close to the cape of US and British bases that, together with the French, were in charge of monitoring this point. 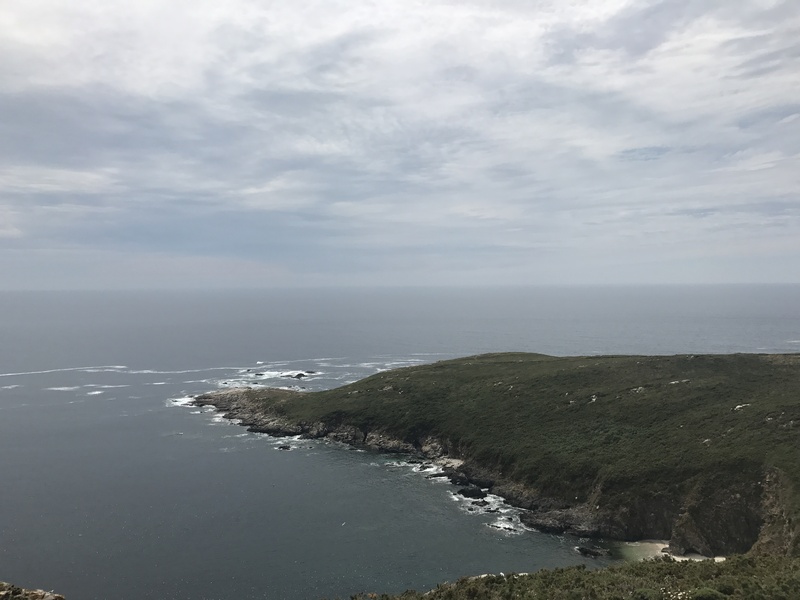 In the region of Ferrol is Cabo Prior, a peninsula that enters the sea almost four kilometers and that for centuries has served as a guide to sailors, military and merchants who crossed these homes on the way to France or the British Isles. A curious fact about this cape is that, they say, it would be the nose of the dragon whose head is drawn in the coastal geography of the Rías Altas. The Rías de Ferrol and Cedeira would be mouth and eye, respectively, to this legendary animal. We have, for example, Puntal da Serra (or Estela da Serra), a small entrance of land in the sea of ​​19 meters of height and from where you can observe in detail the coast of Monteferro and its granite rocks, as well as the whole Ensenada de Patos. In addition, in the vicinity of this cape you can see the remains of a military barracks of the twentieth century and the largest concentration of navicular mills in Galicia. These are just some of the treasures of the hundreds that guard the Galician coast and that are worth discovering little by little. You just have to get there, let the time pass, and enjoy.